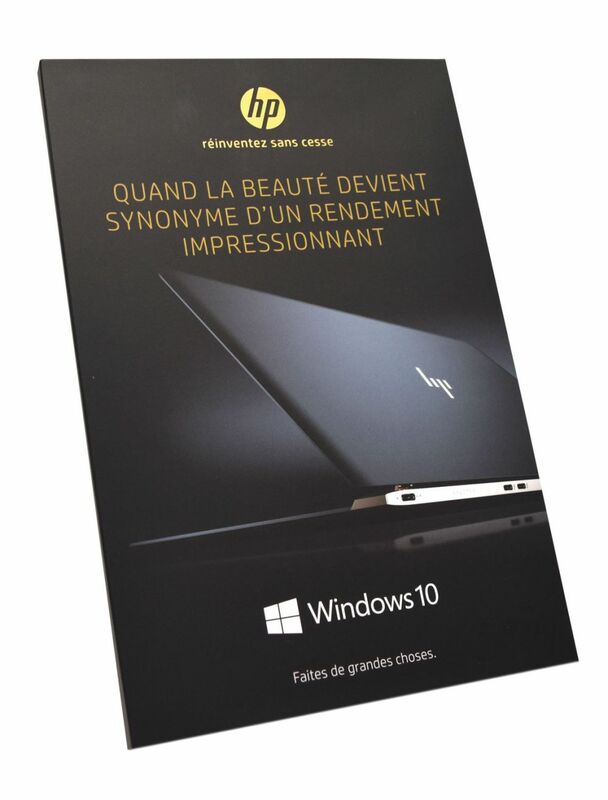 Hewlett Packard was ready to announce its luxurious Premium Family of computers featuring Windows 10 and some of the most impressive, cutting edge features ever offered on HP machines. So the company wanted a communication vehicle that matched the sophistication of this new product line. One of HP’s new models is called the Spectre, a sleek and elegant computer that’s being called “the world’s thinnest laptop.” In HP’s own words, this computer is “design and technology taken to a whole new level. Artisan materials and striking craftsmanship create an experience unlike anything else.” These same words describe the sophisticated Video in Print™ Brochure Americhip created to present the Spectre, the Spectre 360, and the Envy Curved All-in-One to channel partners, retailers, and other key influencers in the tech business. 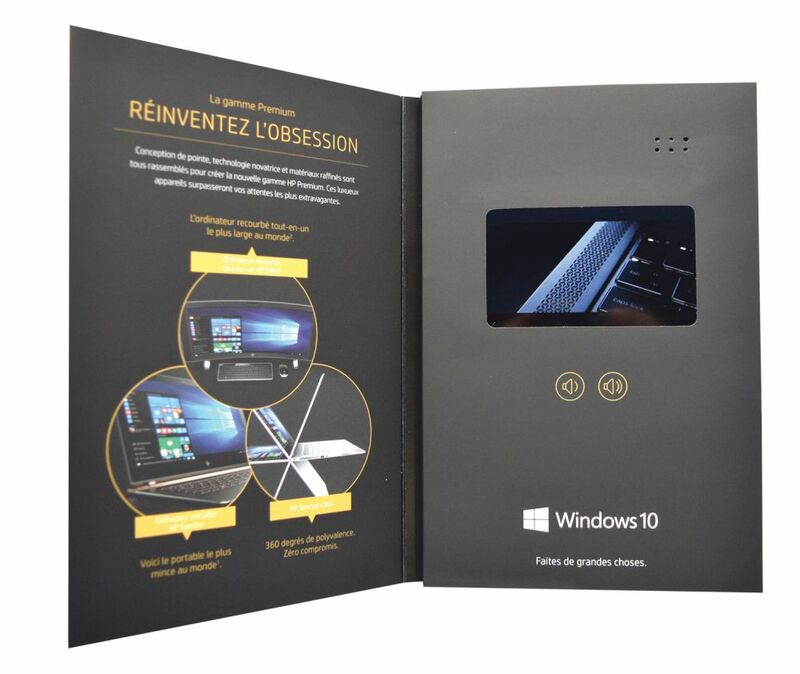 Recipients open the brochure’s cover to see not only images of all three computers but a video presentation of the Spectre laptop delivered on a four-inch video screen topped by a dynamic speaker that delivers the rich, clear sound of orchestrated music building to a dramatic crescendo. This Video Brochure announced the arrival of the Spectre line with unforgettable style and impact.